Following a hard-fought 1-0 win over Genoa, SPAL played out a 1-1 draw with Atalanta in Bergamo on Matchday 13. The Biancazzurri aim to move away from the danger zone in the Serie A standings, but Sunday’s football match against Fiorentina will be anything but a walk in the park for the hosts. The newcomers are after their third win of the season, but, no doubt, they would be happy with one point from the game against the Viola. Stefano Pioli’s men suffered a dip in form, with the team losing to the likes of Crotone and Roma in previous two league fixtures and, taking everything into account, we predict that they will share the spoils with SPAL at Stadio Paolo Mazza. 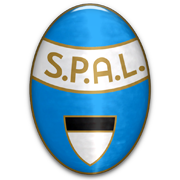 The two teams meet for the first time ever in the Italian top flight and we are positive that SPAL fans will pack the stadium on Sunday afternoon. Born in Valdagno, Italy on November 29, 1993, Manuel Lazzari is a midfielder who plays for Serie A side SPAL. Lazzari played for the youth teams of Montecchio Maggiore at the start of his football career and in 2011 he moved to Delta Rovigo. After spending the 2011/2012 season at the club, Manuel Lazzarri joined Giacomense in the summer of 2012 and it has to be noted that he made 24 appearances in the league for the club. At the end of the 2012/2013 season the 174-cm-tall footballer moved to SPAL and he quickly established himself as a first-team regular at the club. Manuel Lazzari had seven assists in 39 appearances for SPAL in the 2016/2017 Serie B campaign and, no doubt, he helped the club secure promotion to the Italian elite division. His main position is right midfield, but he can play as both right-back and right winger if needed. Manuel Lazzari’s contract with SPAL should expire on June 30, 2021.